Aerohive offers a complete ecosystem of products for retail environments. If you are looking to take your retail Wi-Fi solution to the next level for your employees and customers, we can offer everything you need. Our personalized engagement platform delivers a lot of value for your business operations beyond just Wi-Fi connectivity. In order to stay competitive, retailers need the ability to provide modern and compelling in-store experiences to customers with personalized recommendations, a simplified buying experience, and faster customer service. Aerohive’s wireless technology opens up exciting possibilities — providing opportunities to deliver better customer experiences and gain a competitive advantage by driving sales conversions, increasing spending per customer, and encouraging repeat visits and customer loyalty. Through innovative in-store technology and leveraging a customer’s love of their mobile devices, retailers are personalizing the shopper experience to provide better services, communication, and build brand loyalty. Utilize Aerohive’s Wi-Fi and iBeacon technology to trigger in-store app notifications and provide location-based content. Enable customizable captive portals to deliver store specific information, and support advertising and marketing campaigns. This new business intelligence forms the basis for refined planning of marketing activities and shopper outreach to further enhance customer engagement and ultimately helps increase customer spend and revenue. With other solutions, marketing managers will have to monitor and manage multiple networks to understand how plan-o-grams and other displays are performing. With Aerohive’s cloud-managed Wi-Fi for retail environments, marketing and performance managers can have the flexibility to view real-time stats from any location using any device. Online retailers had a significant advantage over physical stores because of the available analytics, which allowed them to optimize their customer engagement and acquisition rates at a much higher rate than brick-and-mortar stores. Web pages visited prior to purchase. Which promotions received the most attention – Prior products purchased. Consumer behavior within a store (the route a customer took as they walked through the store). Repeat customer behavior and purchases. The number of potential customers who passed by the store but did not enter. Aerohive has integrated advanced analytics directly into the HiveManager network management system to provide deep insight into consumer behavior that will help increase engagement within a brick-and-mortar business. 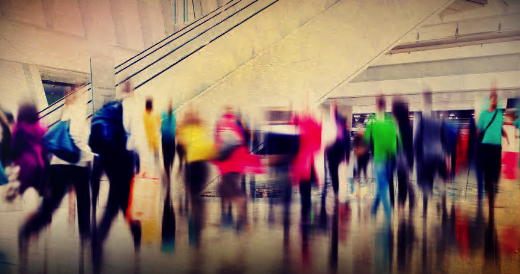 The mobile device explosion combined with industry-leading Aerohive cloud-managed Wi-Fi offers an opportunity for retailers to capture the necessary insight to increase sales and personalize engagement opportunities. For many retailers, having potentially thousands of sites, across multiple countries, and limited in-house Wi-Fi expertise, Aerohive makes it simple to remotely deploy and support mobile devices and retail Wi-Fi solutions. Simplified deployment of one to thousands of devices with auto-provisioning, a guided workflow, and an interactive on-screen step-by-step guided configuration assistant. Remotely onboard tablet devices for mobile PoS onto the network without pre-provisioning. Increased visibility thanks to a 360° contextualized view of connected users, devices and applications, that can be viewed in real-time or historically. Faster troubleshooting with a help-desk optimized interface to triage client problems and suggest immediate remedies.